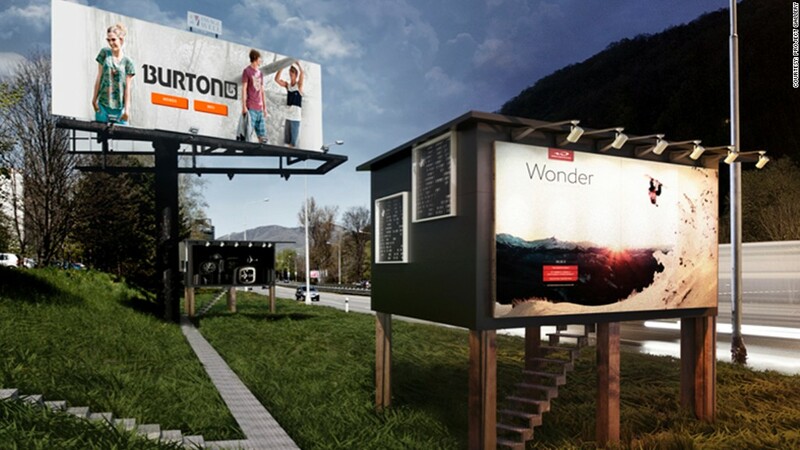 Billboards that double as homes could help solve homelessness in cities. Billboard ads are expensive to construct, maintain and rent, but they don't serve any functional purposes -- so Michal Polacek redesigned them to house the homeless. His concept, called "Project Gregory," would create wooden billboard structures fitted with noise and thermal insulation. They'd have two rooms: One with a table, two chairs and bed, the other with a toilet, sink and shower -- all in less than 200 square feet. Polacek, 26, came up with the concept as part of his master's dissertation at the Academy of Art in Banksa Bystrica, Slovakia, about three years ago. He brought on Matej Nedorolík to help with communications (Polacek doesn't speak English). The two also head up an architecture and design firm. This week, they've launched a formal effort to turn their billboard concept into a reality. 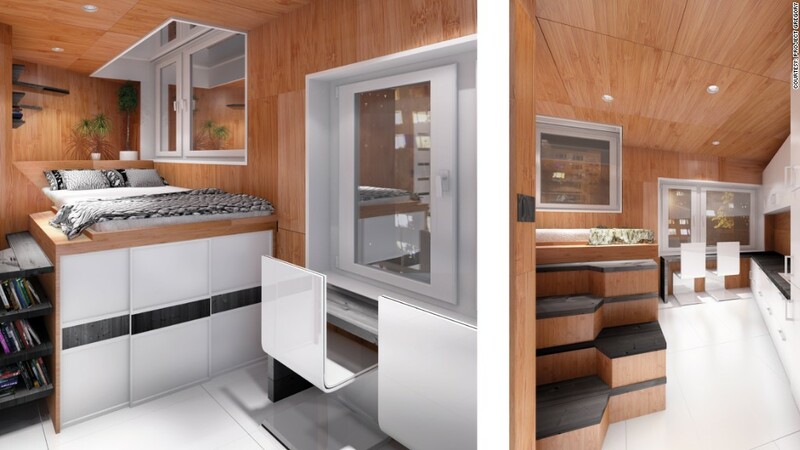 Project Gregory launched as a Kickstarter campaign to raise 41,000 euros (roughly $50,000) to build a prototype for the billboard homes. They hope to complete the prototype by next spring. After that, they plan to secure permits to start building the first 10 homes in Slovakia. Advertisements on the homes would go for 150 euros a month, according to the project's Kickstarter page. An interior view of the billboard living space. The homes will be fully functioning and connected to the city's water and electricity grids (since billboards are already wired to stay lit at night, they'd be able to optimize energy use). "We'd like to spread it to other countries," Nedorolík said of Project Gregory. "The whole idea is that after [the funding is raised], the project will be able to develop itself." And there's certainly a need. The European Union estimates that roughly 4 million people are homeless during the course of a year. The homeless population in the U.S. is declining, but there are still 578,000 homeless people, according to the census. "First, we tried to ask for sponsorship from companies," said Nedorolík. When they didn't get responses, they decided to go the crowdfunding route. Because Kickstarter only accepts projects from nine countries (Slovakia is not one of them), they brought on friend Martin Lee Keniz (who has a U.K. driver's license) as an external partner to get the campaign up and running. Nedorolík said ideally, cities and countries with high rates of homelessness would invest in the billboard homes and offset the cost with advertisements. And there's more innovation to come: They're currently designing a billboard home layout for two people.